She has real talent ... is the photo on page one really her? There is one of her "boyfriend" sitting and reading the paper, or something. Is that you? 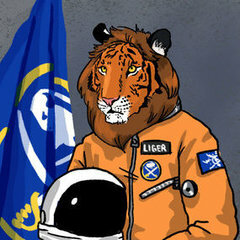 There is a resemblance to your avatar. That was a great one. Just wait 'til you get to "Come on, God". :worthy: I was in stitches during the entirety of that episode. I love how the show derives humor by examining life from honest, intriguing angles, rather than just fishing for cheap laughs like pretty much every network comedy. If she can do a 30-minute Gilbert Perreault, I'll use it as my avatar and link to her blog in my sig. Hell, even if she can do a stylized numeral 11. Korab and I have agreed that the silhouette must go, especially in light of his reversion to the Hedgehog, if the Sabres are to win more games this year. CDs. They just sound better than mp3s. Mini-fridge in man-cave filled with Blue. Another thing that I find awesome, both subjectively and objectively, is the artistic skill of my lovely girlfriend. So I'm going to shamelessly plug her work here. ;) http://joanna-eberts.blogspot.com/ From hockey players to cartoons to nature's creatures to really abstract twisted stuff, she's a style chameleon. 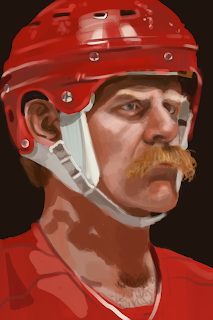 Just to rope you guys in, here's a recent digital painting of Lanny McDonald. Very cool. I envy people with artistic talent like that, stick figures are about the best I can do. Terry Sawchuk is awesome. I too think her drawings are cool, and I too dig the Lanny and Sawchuk ones. And if she's taking requests for avatars, I'd love one of Lindy -- bloodied (figuratively) but unbowed. Easy enough. I'll pose that to her as well. So much agreed on CDs. I can see a possible ZZ Top moment coming in April 2013, or beyond :P .
Just a model name. I bought a used 4 string version of the one I linked to. I almost forgot about this thing. 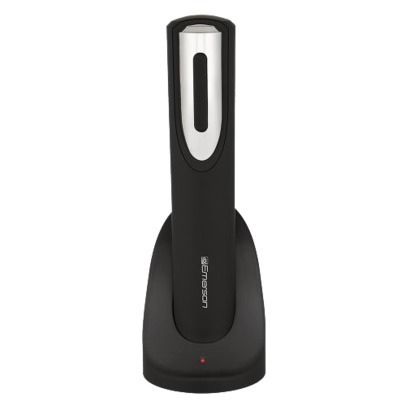 Emerson wine opener. 20 bucks at Target. Good theological resources like the ones I linked to. If you don't mind me asking, who are some of your favorite bass players? Since you mentioned upright, I don't know of too many out there, but I enjoy John Patitucci's bass playing. Ok, those are human beings ... ooops. Learning that other people are bassists too. When the pond is frozen. It's a great way to backup everything on your computers ... not just data, but it makes a mirror image of everything, including software and e-mail. 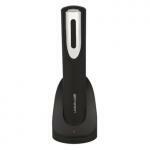 Makes a recovery point without the hastle when using Windows recovery. I appreciate that there are many Apple users on board and I would think this software would be just as useful in an Apple environment, but I'm not sure. The price is right ... free from downloads.com. I use XML as outlined primarily for business purposed and create the image files on a portable hard drive (also awesome) and store them off site in a safe place. Rotate the hard disks (2) weekly to ensure a regular backup of everything. Do this every Saturday morning. I used to use Norton Ghost, but was frustrated with the fact that it, like all Norton products, really bogged the system down by always running in the background. XML does not do that. Am using it as we speak.